Is a $1 a month rate cheaper in the long-run? 1) Many facilities offer a very cheap or free move-in rate. 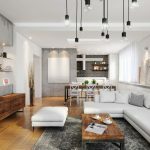 Frequently, they raise your rate over a very short period of time so that you are paying more than you would where rent increases happen yearly. 2) The size you need may not be at the teaser rate and you end up with the wrong size space. As your rate goes up, you find yourself over-paying even more. 3) Cheap teaser rates may not attract the quality of tenants you want to be renting next to. Remember, you get what you pay for. Are your belongings really secure? Only if the units have individual alarms. Individual alarms mean you have a unique code for your unit only which is tracked by the front office. Supplementary security and peace of mind comes from keypad-operated front gate opening, an onsite manager, engaged long-term staff and required photo identification. Check with your local police department about the facilities record of burglaries. Are your protected belongings still convenient to access? Whether it’s one of our many, many drive-up units or one of interior units (some carpeted) with brightly lit hallways, you are just steps away to accessing your possessions from your vehicle. Your belongings enjoy extra protection from the elements with raised concrete floors and steel construction. Even after 25+ years, it’s still state-of-the art. What does local ownership and management mean? Rarely does a tenant have a problem. On the occasion that they do, you are not dealing with some far away customer service center or a long list of corporate policies. Instead, you deal with an empowered staff capable of quickly bringing about resolution. You may also call our managing general partner , Bill Kenney, at 650-347-3603, and speak to him anytime about problems. Our reputation means everything. After, the staff and ownership live in this community. Ultimately, cheap teaser rates, short office hours and inferior construction detract from what should be a simple, no-brainer experience with self storage. At All American Self Storage in San Mateo, you’ll find affordable, accessible storage that’s secure, safe and competitively priced. Stop by and visit us today! Is Extreme Minimalism the “Only” Way?